BRYAN EATON/Staff photo. 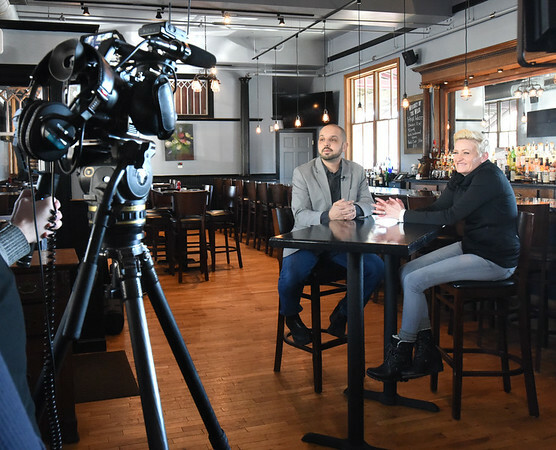 "Small Business Revolution-Main Street" photographer Scott Thompson films host Amanda Brinkman, right, interviewing Crave Restaurant owner Sean Toomey on Thursday afternoon. Amesbury is one of the 10 finalist towns and cities to be chosen winner of the next installment of the show.